These days the best way to deliver highly-personalized messages to your app users is by taking advantage of your user event data. It works like this: Instead of targeting your users in segments or groups via exported lists, you can target them individually based on their in-app actions (or ‘events’). It’s as simple as switching on your event callbacks. 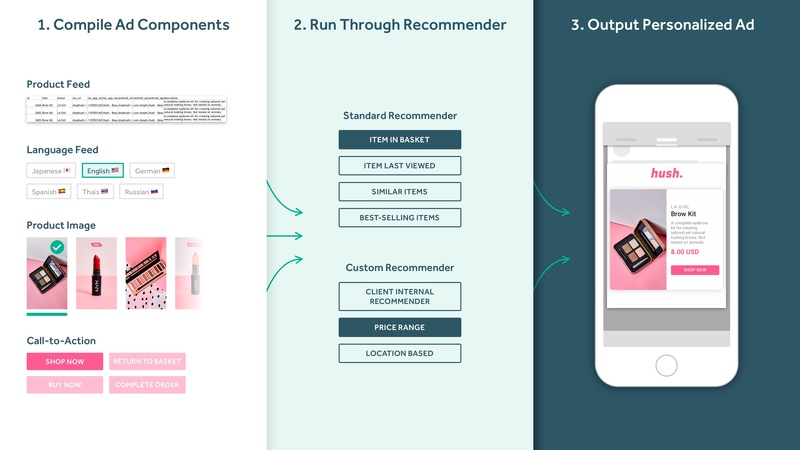 In e-commerce apps, utilizing the user event data enables you to personalize the content of your ads to drive purchases. If, for example, a user places a salt shaker into their shopping cart, this event will appear in the event stream and they will automatically be targeted with ads showing their salt shaker. If they purchase the salt shaker, this event will trigger a different approach - they will cease being targeted for that product and will be shown a related product instead (like a matching pepper grinder). 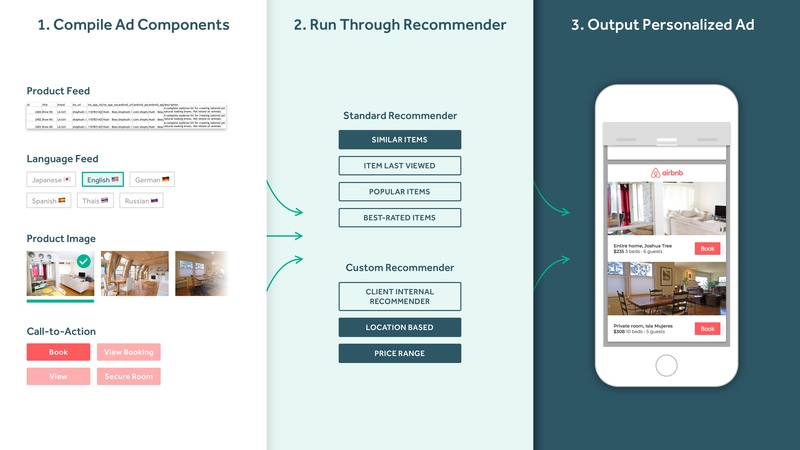 The CTA/messaging can be personalized along with the image to ensure maximum relevance - eg “Complete your purchase!” when an item has been placed in the cart, or “You might like this…” accompanying the recommended product. For food delivery apps, you can target users based on their favourite food types, so you can hit them with a pizza ad right when their friday night craving is kicking in. For travel apps, you can leverage the event stream to suggest products in the user’s price range. You can also upsell or cross-sell them with ads for hotels and car rentals as soon as they’ve booked their flight. For gaming apps, your user event stream enables you to deliver personalized ads that reflect the app users precise position within the game, and even their favourite avatar. You can read more about personalized creatives for gaming here. When you use your user event stream to its full potential, you can essentially personalize every single aspect of your creatives, by automatically optimizing to include your user’s language, location, favourite content, preferred colours, and much more. This enables you to speak directly to each user at an individual level. Using your event data eliminates the need for manually updates lists, which streamlines the process and allows for constant optimization throughout the campaign. Remerge also uses your user eventsto run continuous uplift tests, which track the success of your campaigns. We focus on the one goal that really matters - the incremental revenue incurred from running an app retargeting campaign. This is calculated by measuring your incremental return on ad spend. You can learn more about our pioneering approach to app retargeting KPIs here.